B-sides the '90s is a recurring feature that highlights some of my favorite songs, covers, and live tracks that are hidden away on the b-side of a vinyl/CD single from the '90s. You can see all of my B-sides the '90s features HERE. While Blondie is unquestionably one of the most iconic groups of all time, I’ve always wondered why more bands haven’t covered their songs. Of course, the surface answer is that Blondie’s unique punk-meets-pop-meets-disco sonic mix and Debbie Harry’s untouchable vocal style just makes the task a wee bit daunting (to say the least). Blondie’s sound is so much more than just melodies and instruments, so translating one of their songs through your own filter requires a brave attempt to harness at least a fraction of that x factor that surges through all of their songs. To prove how hard this can be for other bands to do, all you have to do is look at the electricity Blondie infused into their own covers. Compare “Hanging on the Telephone” and “I’m Gonna Love You Too” (both from their 1978 Parallel Lines album) with the originals (courtesy of The Nerves and Buddy Holly, respectively) and you’ll be able to hear the unmistakable “Blondie-ness” they imprint on their tracks. They do the same with their covers of Johnny Cash’s “Ring of Fire” (from the Roadie soundtrack) and David Bowie’s “Heroes” (the slightly erratic live b-side to their “Atomic” 7” single) as well. In the case of their cover of The Paragons’ 1967 song “The Tide is High,” most people have no idea that it isn’t even a Blondie original in the first place. While the phrase “make it their own” gets applied too liberally in most discussions surrounding covers song, it’s almost always indefensibly accurate when discussing Blondie. When I hear a band tackle a Blondie cover, I always receive it with an interesting mix of relish and reserve. I’m excited that they’re doing it, but I’m also skeptical as if to if they can do it. Certainly the straight ahead, nod-to-the-original style covers are nice and safe enough (for example, I really dig Yo La Tengo’s “Dreaming” and L7’s “Hanging on the Telephone”), but if a band is really trying to go for it, I always find myself leaning in a little more than usual. In a very Blondie-esque move, I think all three of these picks show the coverers contributing their own individualized flavor into the mix in one way or another (*rim shot*). In October of 1995, The Smashing Pumpkins released their (some say bloated, I say ambitious) double-disc album Mellon Collie and the Infinite Sadness and a physical copy of the lead single “Bullet with Butterfly Wings” on the same day. Since I was still about six months away from legally being able to drive on my own, I convinced a senior friend of mine (thanks Eddie!) to drag my sad-sack sophomore self to Blockbuster Music during our lunch break to purchase both of them. Since we only had a precious few minutes on the drive back to school, I busted open the single first and immediately skipped to the B-side, “…Said Sadly”. Not only was it a chance to hear the too scarce (for my tastes, at least) lead vocal turn from guitarist James Iha, but the acoustic duet also featured the always welcome (for my tastes, at least) vocals of Nina Gordon from Veruca Salt. 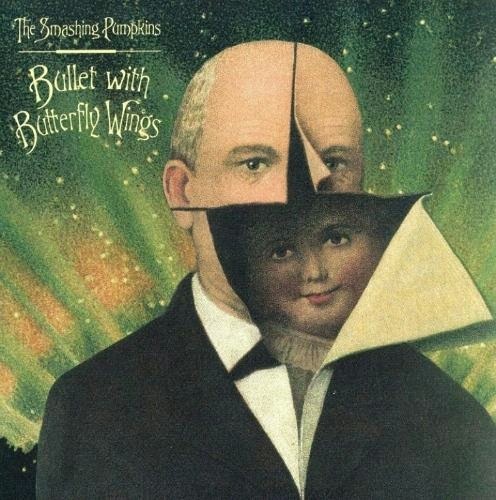 When The Smashing Pumpkins re-released the “Bullet with Butterfly Wings” single as part of their (some say bloated, I say ambitious) box set The Aeroplane Flies High almost exactly a year later, it was bolstered with five new b-sides. These weren’t just any “leftover song” b-sides either. Billy Corgan and company loaded the single with five exceptional 70s/80s-era new wave/rock covers, including “You’re All I’ve Got Tonight” (The Cars), “Clones (We’re All)” (Alice Cooper), “A Night Like This” (The Cure), “Destination Unknown” (Missing Persons), and my favorite of the bunch, Blondie’s “Dreaming”. Their gorgeous take on Blondie’s 1979 Eat to the Beat opening track takes on a relaxed trip hop groove courtesy of a distorted drum machine beat, syrupy strummed guitars chords, and enough dissonant warbles to make the whole track feel like an otherworldly dream state. As a bonus, “Dreaming” also features bassist D’arcy Wretzky doing her best Debbie Harry on the first verse and chorus, before Corgan takes back over from the second verse on. They unquestionably make the cover their own and as a B-side to such a guitar-heavy single (from such a guitar-heavy album), it makes the perfect complimentary sonic statement. 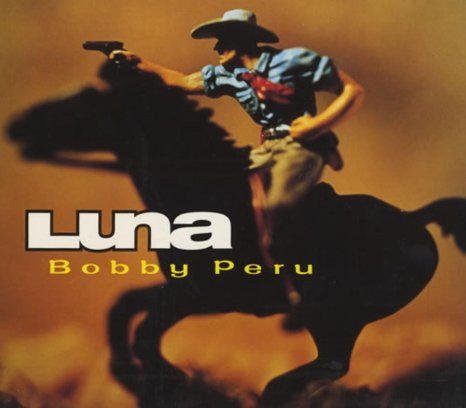 “In the Flesh” by Luna (1997): Criminally underrated band Luna has always had a knack for crafting really amazing self-stamped covers on their EPs and singles over the years. Their dreamy, guitar-washed takes on “Thank You for Sending Me an Angel” by Talking Heads, “Season of the Witch” by Donovan, “Sweet Child o’ Mine” by Guns N’ Roses, and “That’s What You Always Say” by 15 Minutes are hands-down some of the best covers to come out of the pre-millennium decade. How they didn’t end up on every alt-soaked 90s movie soundtrack, I’ll never begin to understand. Luna released Blondie’s “In the Flesh” in 1997 as a b-side to their “Bobby Peru” single from their fourth album Pup Tent. While Luna’s version holds true to Blondie’s original “Enchantment under the Sea” 6/8 sock-hop sway, lead singer Dean Wareham foregoes the confident cool found in Debbie Harry’s delivery and adds an incredible extra layer of teenage timidity to his longing vocals. This song always makes me want put on an ill-fitting suit, buy a corsage, and drag my girl to the nearest middle school gym floor we can find for some awkwardly sweet cheek-to-cheek. “(I’m Always Touched by Your) Presence, Dear” by Annie Lennox (1995): While most music fans remember Annie Lennox’s 1995 covers album Medusa for the monster single “No More I Love You’s,” the album contained more gems than just that Grammy-award winning one. Her covers ranged from the soulful edges of Al Green and The Temptations to the rockier realms of Neil Young and The Clash. She ended up releasing a second single from Medusa for her breezy version of “A Whiter Shade of Pale” from prog-rock pioneers Procol Harum. While the single never really grabbed my mid-teen, punk-tuned ear very much, it’s B-side sure did. As a Eurythmics fan, I always loved the command Lennox demanded when she wanted to sing with more intensity and directness. For her “A Whiter Shade of Pale” flipside, Lennox did just that for her synth-bubbling bounce through Blondie’s 1978 Plastic Letters original “(I’m Always Touched by Your) Presence, Dear”. Never has an ode to long-distance romance and paranormal telepathy sounded so intriguing to dance to!